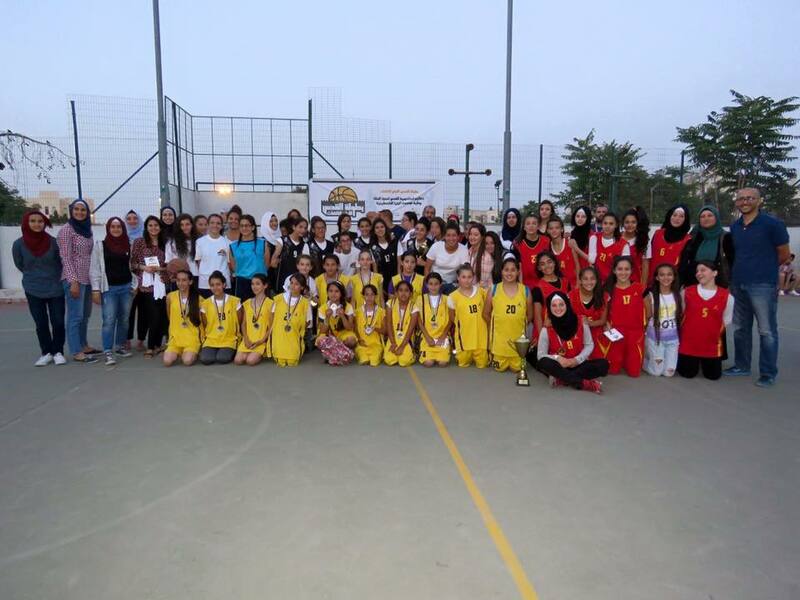 Final matches of the tournament were set off on Y.M.C.A pitches for the female participated youth, in which Jerusalem’s Academy for Basketball has won the cup by winning the final match against Burj Al-Luqluq team. The tournament program was conducted under the system of knockouts of the defeated teams. Moreover, the matches were as follows; the first match was between De la salle and Burj Al-luqluq which ended for Burj in a score of 20-17 while the second was between Jerusalem’s academy team and Terra sancta and ended for Jerusalem’s academy in a score of 30-11. Both teams qualified to final match according to the previous results. The final match was characterized by high tempo and strong competition between opponents. However, the coach of Jerusalem’s academy ‘Tawfiq Rafeidi’ changed the game by his tactics and substitution decisions which was reflected positively on Jerusalem’s academy team performance and leaded them to won the match in a score of 26-11 and won the tournament.